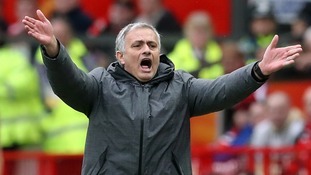 Manchester United's final game of the season against Bournemouth has been abandoned after a suspect package was found in the stands at Old Trafford. Fans were evacuated from the north and west stands before the match was officially called off. Rio Ferdinad has welcomed the news that Manchester United will play Real Madrid in the last 16 of the Champions League. The defender took to Twitter to tell former United forward Cristiano Ronaldo that he will 'see him soon'.